Is she lonely?… Isabella and I have always had a strong bond as mother and daughter, we’ve been through a lot in our short three (four if you count pregnancy) years together. She’s my best friend and reason for waking every morning. Then we expanded our family with Elleanna, a blessing to complete our family, maybe for the time being or maybe our two girls are enough. For now they have our hands full and our hearts even fuller. But are both girls getting the right amount of attention or is one getting more than the other? Sick Isabella but when I take Elleanna’s monthly pictures I take Bella’s also. Having an infant again means you spend much of your days carrying them, teaching them, changing them and feeding but is there time for their older sibling? 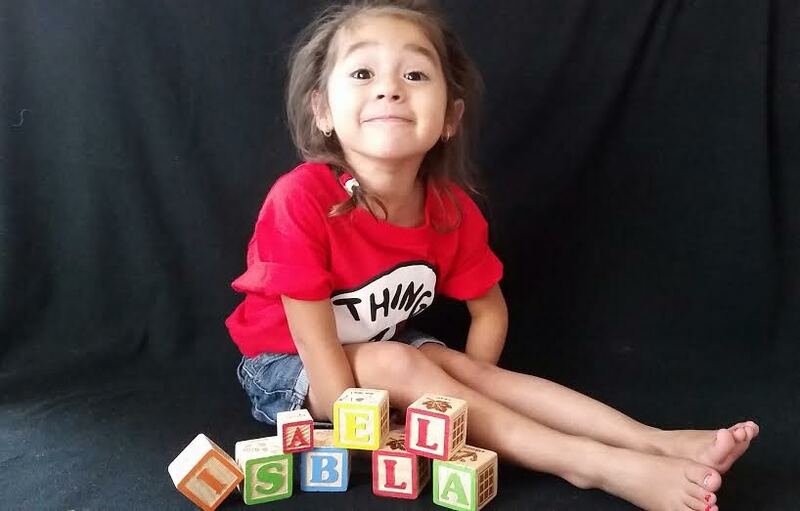 Since day one Isabella has known she had a sibling on the way, from the moment we found out she began speaking about it. 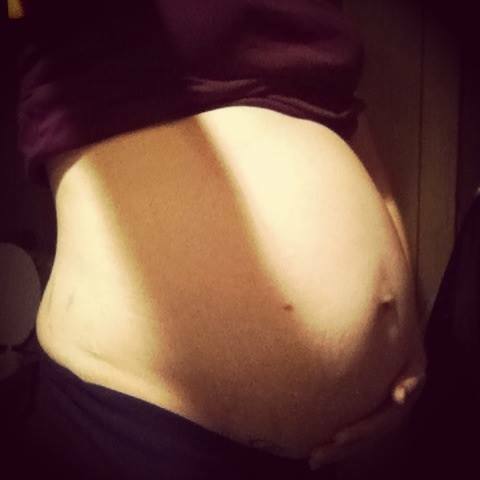 “Baby, mommy’s tummy.” Which she seemed to be letting the secret out though not many caught on right away. 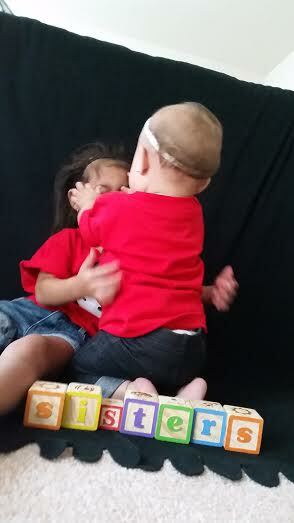 Geraldo and I were excited, Elleanna is our rainbow baby which completed us and bonded us more than we ever imagined. Isabella listened to the baby through her Doc. McStuffins doctor kit and kissed my belly, along with telling me she wanted a brother and a sister. Thank goodness she wasn’t right about both, though I felt and looked large enough for both. We had daddy’s Princess. Our days have become mainly about Elleanna, as a breast-fed baby she always wants mommy but so does Isabella with our strong bond. Is there jealousy or am I not being fair? I’m always worried and many see it as babying Isabella but it’s a big change. How do you separate times between an infant and a toddler? I find at times I need to run and hide, sadly but I need a moment to get myself together so I can calmly help each child. I’ve watched Isabella go back in age or de-advance in some areas you could say after having Elleanna; a nightmare I knew could happen. From Elleanna having mittens on her hands to keep her from scratching her delicate skin, we then noticed Isabella taking her socks off and putting them upon her hands. When checking on Isabella at night or seeing her when she first woke. I found her smiling saying “Mama look.”. Was this her first cry to attention? 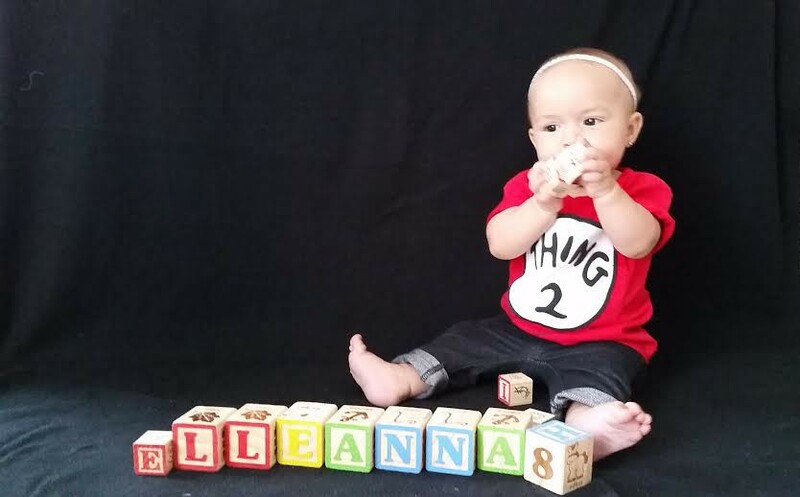 When we brought Elleanna home and began taking care of her I tried to incorporate Isabella in helping take care of her sister from getting the diapers and getting her pacifier. Now as Elleanna is beginning to get older Isabella is helping more and more from trying to change her, helping bath her and teach her different things like walking now. But when we look at all that it’s about Elleanna and not about Isabella really… So how do I make more time for Isabella? I feel torn between the children they are so young and have been through so much already in life, especially Isabella. 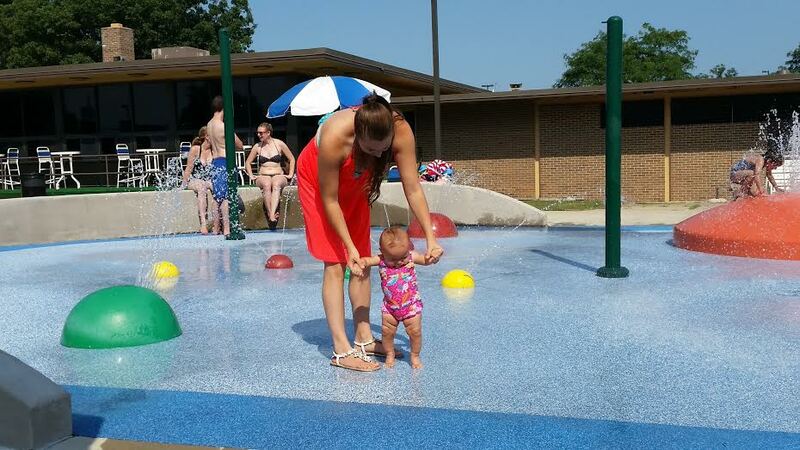 So here’s my challenge… Mommy & Bella time. Mommy & Elle time. Daddy & Bella time. Daddy & Elle time. But the real challenge is how will we do this? My first step is Mommy Elle and Daddy Bella time during this weekend; I found an event that I would love to be part of… The BIG Latch On, which will be recording how many breast-feeding mothers latch their little ones on world-wide. I’m very excited for this event. At the same time that Heather, myself and our youngest girls will be attending the older girls will have daddy, daughter time. First step in giving the girls some one on one attention. How do you separate your time between children to make them feel special or have you found a way to make each child receive the attention they are craving for while still with their sibling? Please share ideas and opinions I’d love to hear from you all. The Power of Doing Good and our adventure. An early morning for the girls and I as I awake before the sun, tip-toeing to the bathroom to begin my routine before the girls sleepy eyes arise; using my phone’s video camera for lighting to look through the closet for a suitable and comfortable outfit… I’m oblivious to what is to come today but eager to see what Disney Junior has for the children. Is it a show? Is it games? All dressed up we jump in the van six girls in total to begin our day, motivated adults and sleepy children we head out to The Yards Park. Three GPS’s it took to be a few minutes behind schedule due to our detour to another part of the city we finally meet up with some neighborhood friends. 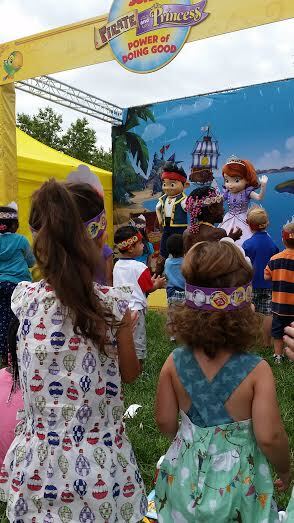 The kids joy lights up their eyes as they see pictures of Jake from the Never Land Pirates and Princess Sofia from Sofia the First. Activities all around as we walk through the line and the Princesses were given their crowns we set forth for some treasure hunting in National Wildlife Federation’s Jake’s Beach Treasures. 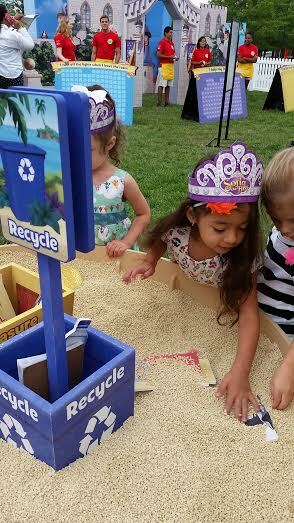 Digging through “the sand” (recycled rubber) the Princesses find treasure coins, juice cartons and milk cartons, shells and many other items to determine whether they are treasure or recycling. Which can we blame the girls for putting milk and juice in for treasure? It is a treat to them. Next helpful activity was to build the castle for YSA’s Enchancia Castle; which each child would pick from a wall of magnets whether they were going to help the earth, help feed their pets, help their friends and many more good deeds. 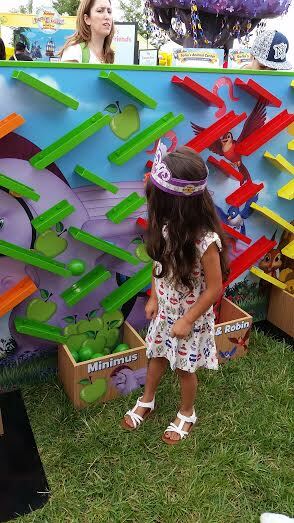 After placing their “block” on the castle were off again this time to help feed Princess Sofia’s animals such as Clover and Minimus at the ASPCA’s Sofia’s Animal Friends. 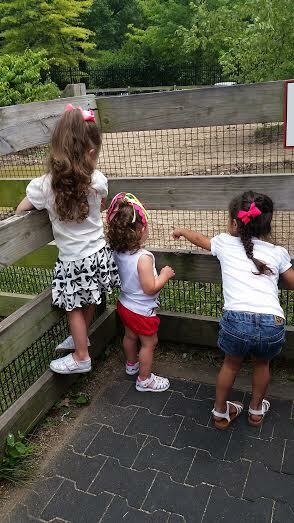 The girls had fun feeding the animals, as they picked up a color plastic ball such as orange (carrots for Clover) to place at the top of the wall and watch as it made its way down the maze and into a small pit of identical balls. Their helpfulness of providing breakfast for the animal friends. The girls eyes were lite with excitement as they furthered into the activities, they helped cuddle, feed, groom and put Minimus to sleep. Picked a helpful task to write their name on again such as helping keep the earth clean and place it upon the Forever Tree. The girls were given re-usable water bottles and bracelets before entering the maze.As they entered the First Book’s Jake and Sofia Storytelling maze they were given the option Jake or Sofia and given a paper “book” based on that character to make their own story. As Isabella ran in anxious to spin the “wheel” which only reminded me of a jackpot… Naughty mommy. 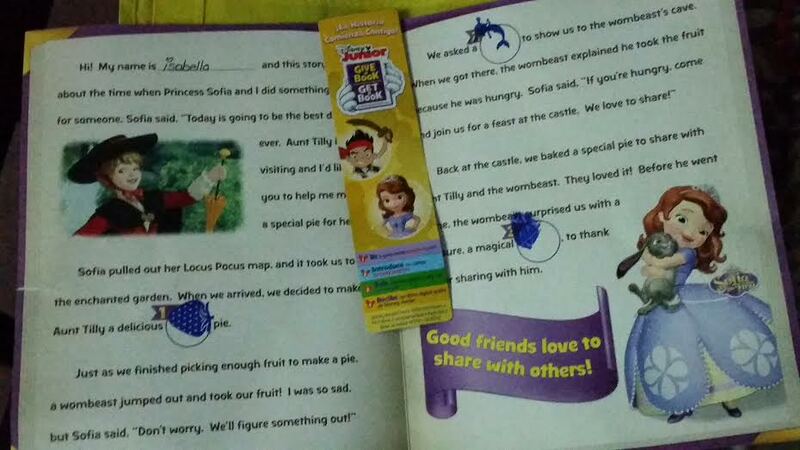 Building her own story with Princess Sofia, as she stamped the pages with the item she spun. Finally ending the Power of Doing Good event with an appearance from Jake and Princess Sofia while they sung the Power of Doing Good song. This event amazed me as we became engaged into the activities we not only were having fun, making memories and helping one another but we were all being educated from adults and children alike. I saw the good the children could do, and what we as adults could do. If we do these simple things like recycling to keep our earth clean for ourselves and children they will do the same. I know my oldest daughter likes to do what others are doing. Isabella watches Disney anytime we do have the television on or a movie, now obsessed with the movie Frozen she has become even more of a big sister wanting to care for her sister. 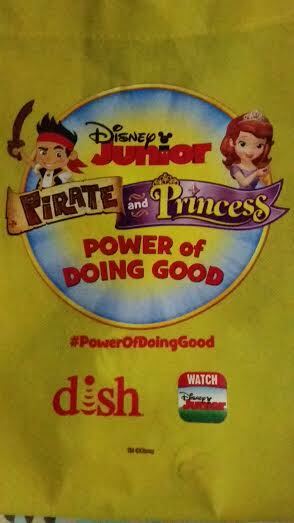 After watching many of the shows on Disney Junior channel I find my daughter singing the Power of me song, along with trying to do many of the good tasks each Disney character shows our children. Thank you Disney Junior for this opportunity. What Power of Good can you do? Will it be helping a friend or family member or maybe make sure you are recycling a bit more? This is a thought that my girls and I shall ponder or maybe even do a few different ones. Ever think about making someone’s day maybe make a new friend while at the park? What sound does a lion make? The excitement built over night as we search through many shirts and dresses to find something to do with animals. Snack bags filled, drink cups ready and myself rushing at the end to straighten my waves; as Geraldo pulls in the drive way from his orientation at his new job the pressure sinks in. “OUCH!” a burnt thumb to begin our day, with four excited little girls; in truth five if you count me. We pile in the mini-van like a clown car, sun glasses and smiles we’re off, Washington National Zoo here we come. After a bit of a drive while the kids munched on Pirates booty, we finally arrived. Like a child I was eager to jump out of my seat and begin. Two strollers, an ergo and off we go. First stop the petting farm for the children to see the goats, pigs and all Old McDonalds barn yard animals. With hesitation in Isabella’s eyes I see her slowly put her hand out to a goats back to pet it. As I watch her and my sisters enjoy the moment I can’t help but snap pictures constantly hoping I’ll get them all looking and smiling at me. These are the memories to cherish! Next stop the rainforest where we see large creepy fish, turtles, frogs and of course monkeys! I watch as the children take in every moment in awh, I find myself smiling. Things are finally falling into place, we’re able to take the children to an educational and fun place, we are both working now and things are just getting better for our family. 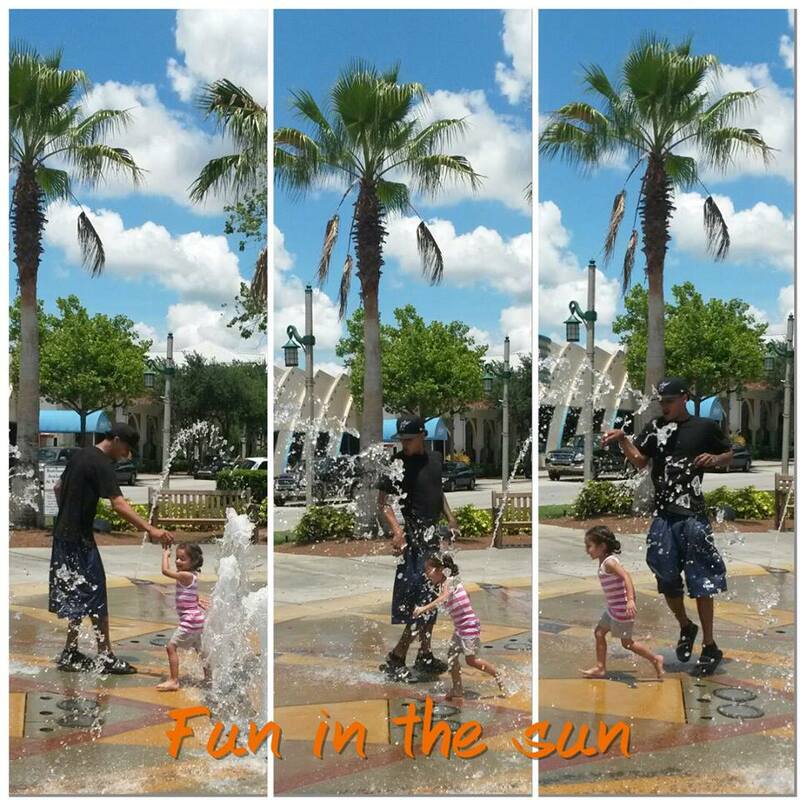 This is the moment I just let free, time to have some fun while relaxing with my family. As I walk holding Isabella’s hand I watch Geraldo push Elleanna, I realize how blessed I am to have my children and my man in my life. A day at the zoo for our family. After taking a few family shots of both my step-mother and father with my sisters and then Geraldo, the girls and I we head out of the rainforest and off to see more. 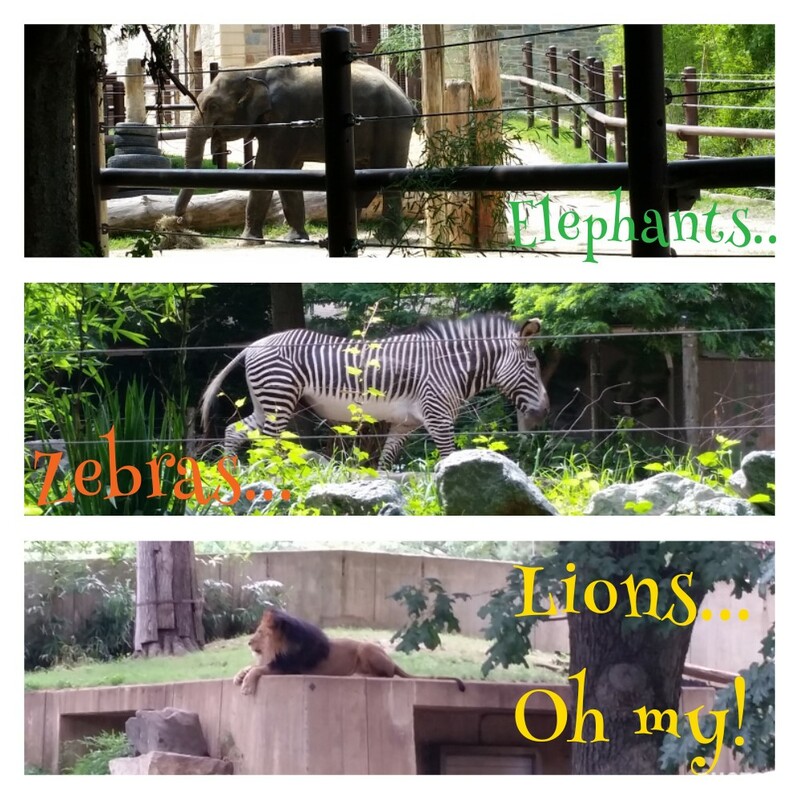 Elephants and zebras oh my! Elleanna takes a quick trip in the Ergo for her lunch break, Isabella asks to be picked up and as many of you know it isn’t the most easy thing to do while carrying an eight month old so daddy steps in. My breath is taken away as I snap shots of a piggy back ride between father and daughter; my smile is growing larger and larger the further into the zoo we journey. Before we end out journey we take a stop at the merry-go-round as the girls all finish their Ice-creams, Grandpa gets the tickets and we split up. Geraldo, the girls and I take off to the right of the merry-go-round looking for the perfect animals for the girls to ride; while Heather and my father take my sisters left in amusement we end up meeting in the middle and sitting next to each other for some family photos. 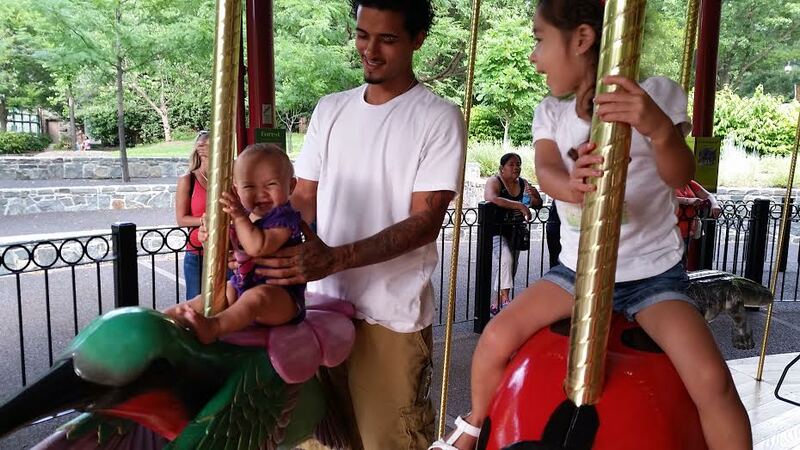 It’s Elleanna’s first time on the merry-go-round and I see her confusion but as the ride begins her excitement bursts while she’s smiling and giggling her humming bird flying her around with her sister at her side on the lady bug. My sisters to the left with Heather and my father and my girls and man to the right, how much better can this get? We end our animal visits at the Lions where the sounds swept over the whole zoo. We find the perfect position for photos. 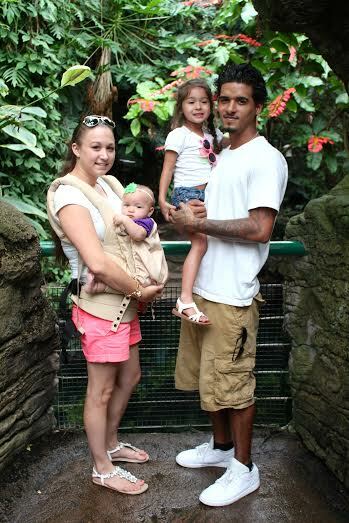 As a free zoo, if you don’t use their twenty-two dollar parking, who wouldn’t enjoy this and take advantage of the opportunity of the education and wonderful views; also the wonderful work out of pushing a stroller around this large zoo with inclines. A perfect family outing that we will be doing more often.